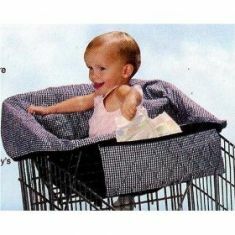 Buggy Bagg Shopping Cart Junior Discounts Apply ! Protects from environmental elements such as cold seat bars. *A minimum purchase of $35 is required for Free shipping discount. Free shipment will be by UPS ground. Please contact us to make other arrangements if you need it sooner. This item will ship separately from other items in your order.